I loooove my coffee. But I am also verrry picky about my coffee. Years ago, I used to work and manage a Starbucks kiosk inside a grocery store. That was when my love for the Starbucks white mocha was born. Fast forward 12 years later, I still to this day ONLY drink a white mocha, and in the winter it’s a peppermint white mocha. Boring, I know.. but I like my coffee sweet, and I’m a creature of habit. Drinking a Starbucks white mocha every day can get very expensive. Over the years I have tried countless variations of my white mocha, and none have succeeded… until a few weeks ago. I have FINALLY found my own recipe, and man it is sooo good. 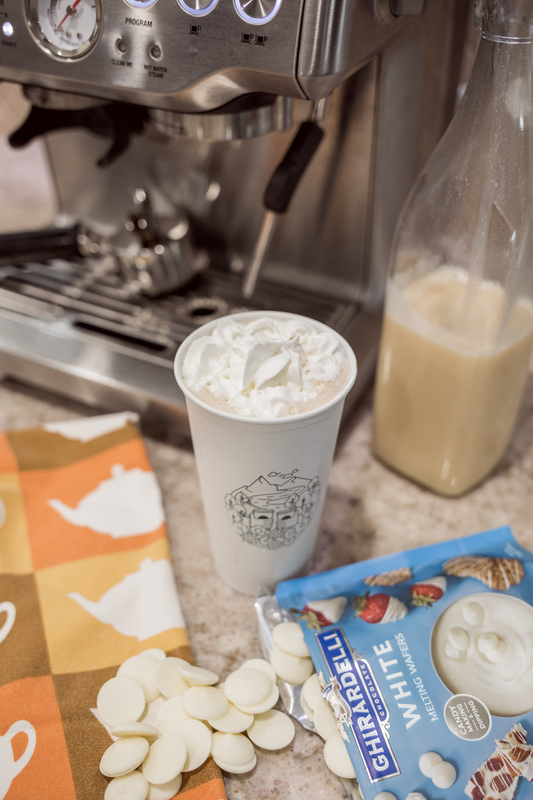 Before we dive into the recipe, I wanted to share a few tips on how to make your very own white mocha at home. 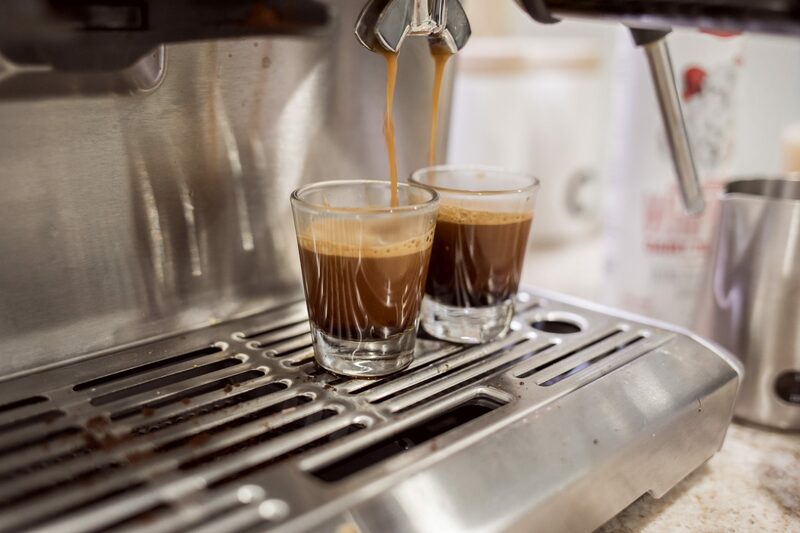 This works best with an espresso machine versus a drip coffee machine (I want to note that I prefer latte’s over drip coffee). When you do order a white mocha at Starbucks, they do make it with espresso shots vs. drip coffee. This does make a difference in how your coffee tastes. I have personally bought several coffee machines, and although the Breville is pricey, it is worth every penny (and my favorite machine to date). If you can add this bad boy to your Christmas list, I would highly suggest doing so. 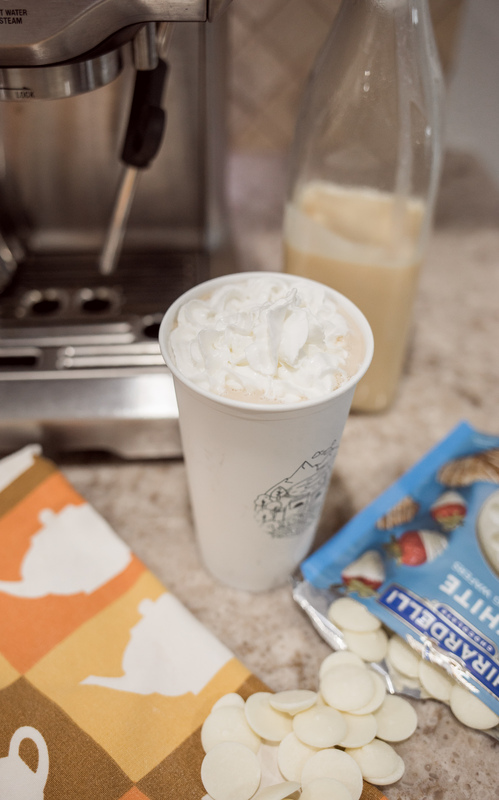 Your DIY Starbucks white mocha needs to be 80% milk and 20% coffee. Next time you do order yourself a white mocha at Starbucks, pay close attention to the barista and how much milk they use and the color of your coffee. I do not refrigerate my sauce, and for my 16oz I use two tablespoons of the white chocolate sauce. In a saucepan, melt everything together on medium heat until smooth. Remove pan from the stove, let cool, and stir occasionally to keep the sauce from hardening. Note* I would not recommend using sauce more than two weeks. If sauce hardens, run under hot water. Now pour yourself a cup of coffee and enjoy :). I would love to hear from you when (and if) you make this! Did you like it, did you make any tweaks? Share below! Thank you so much for stopping by, have a great day. oh great questions! I will have to edit my post to include those. So I do not refrigerate the sauce, and I use two tablespoons, but that would depend on how sweet, and how many oz your cup is. 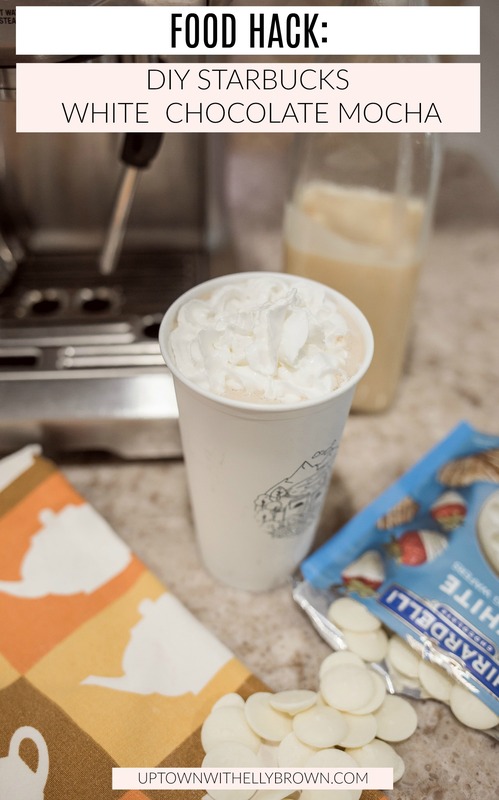 I have been looking at a way to create my own white mocha also! BUT I love the peppermint white chocolate mocha. Any ideas? Would I just add a couple of pumps of peppermint syrup into my coffee? Hey Nicole, yup just that, just add peppermint, and you’ll be good to go! Back when I used to drink dairy this was my GO-TO drink.. sadly I don’t anymore and I don’t know if any subsitutes that could work with this.. but I bet it’s delish! have you tried it with Soy or almond milk? oh wait, you can’t because of the condensed milk huh? 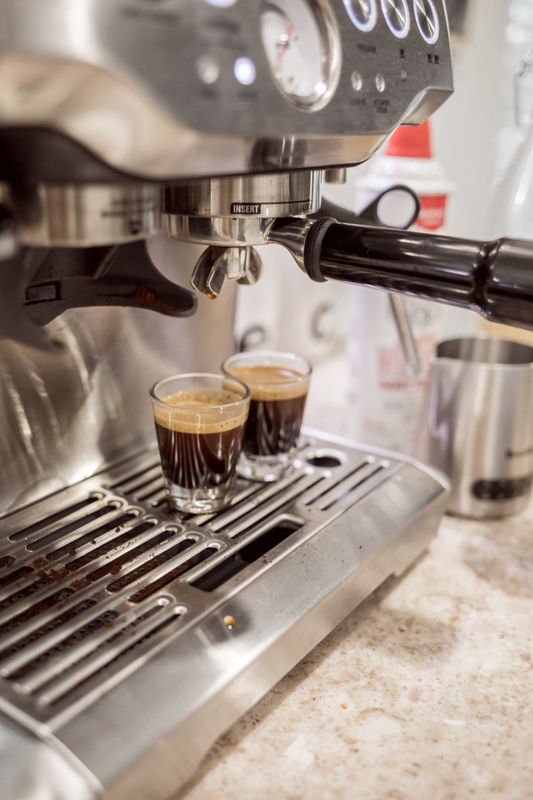 Espresso machine is one of my favourite and works really good. Thanks for sharing wonderful information. Espresso machine is one of my favorite and works really good. Thanks for sharing wonderful information.